Okay. So this week was a total wash. I'm still sick. I have stopped eating when I was no longer hungry. I realized that is something I really needed to do. Since when did my taste buds become the boss of me? Probably somewhere around 2001, if I have to be honest. Well gee old lady, that was about ten years ago! (no, I am not calling you an old lady, I'm talking to myself.) You can probably guess what ten years of eating beyond hunger has done to my body. Instead of doing something radical like weight watchers points and exercise I have decided to stop eating when I am no longer hungry. To do a purge of the house. -not so much. But I have thrown out a lot of trash and some pizza boxes we were harboring. To get the spare room in order. - Uh, I bought a gallon of paint and put it in the spare room. 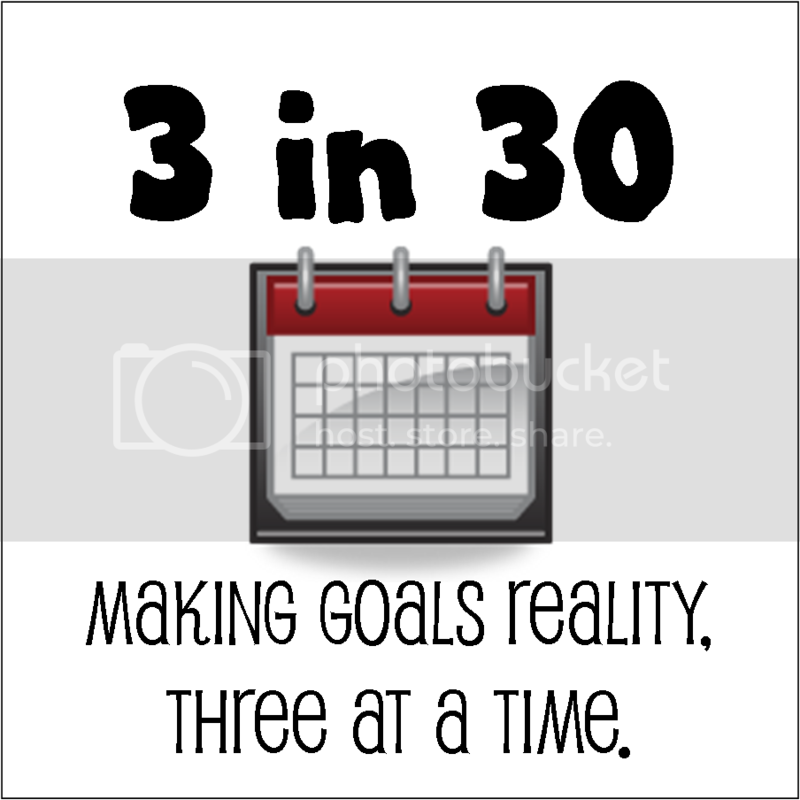 Which is actually a step towards this goal since I have to paint the cabinet doors I put in there last week in order to get moving on working on the room again. So in a way, putting another gallon of paint in there was a step towards the goal. In a wacky sort of way. Week three was sort of "The week that wasn't" for me. I hope yours was much, much better. Hope you get to feeling better so you can accomplish your goals! I know what it's like to get sick just when you wanted to start getting healthy. Hoping that this last week will be a positive one. Hope you feel better soon! You're excused from that third goal. Don't even think about it until you're better! A couple of years ago I was horribly sick for about three months with bronchitis and then walking pneumonia. I know all about those bad coughs!! I like how you put, this week wasn't for me. I kinda feel that way too. I was off, moved forward, but was off. Hope you feel better soon! Don't let this week get you down...rest up and heal for a great start to next week/month! Sorry that you're still sick :( I guess if you have to be sick, January is one great month to do it! Feel better soon, my friend! Bummer about still being sick... you'll have to move "kick the crud" to the top of your goals list!